Join us Sunday April 28th, 2019 at the Ranchette in Olathe Kansas! 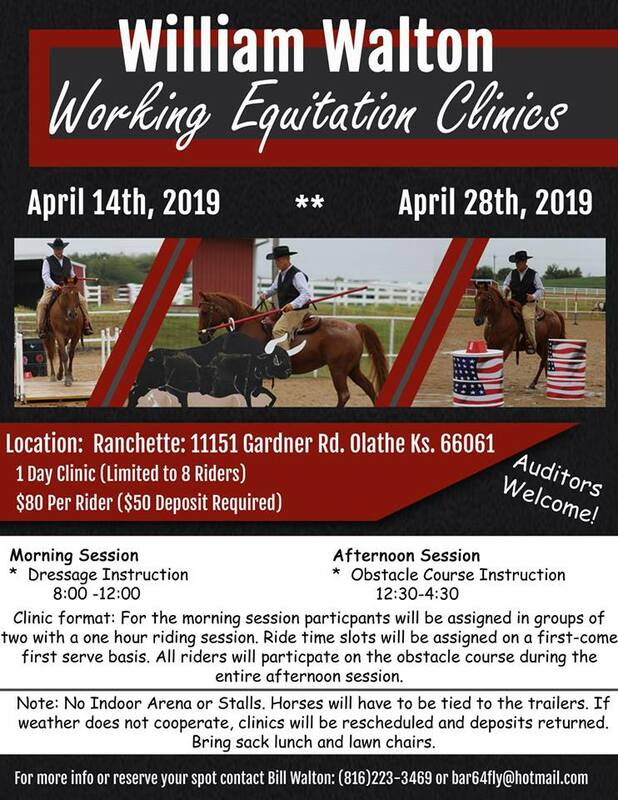 From 8:00am – 4:30pm clinician Bill Walton will be teaching riders about Working Equitation. This is a fun and fast growing discipline that anyone can participate in and enjoy. Sign up today!